I thought this movie (for being so bad) was very entertaining. The main characters are the biggest geeks! Especially the male lead. I'm talking about Dorkenstein with a capital D. It was fun making fun of them while hoping the monster eats them. 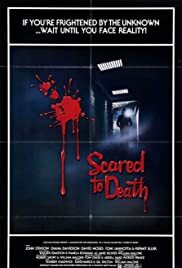 This film seemed to merge cheesey 50's Sci Fi elements with 80's slasher gimmick to create a movie that worked on some level. Mystery Science Theatre would have a field day on this one. I must give it props though. The creatures actually looked good and were indeed creepy.